Books are great helpers when it comes to teaching yourself yoga. You can get several books from a bookstore, buy them online or check some out from the local library. Books are an excellent resource to help you learn yoga and save money and at the same time. This tip is great, especially for students who don’t have money for yoga classes. If you are not fond of reading books, you may want to consider getting a yoga DVD, but make sure you get the best one! If you can’t afford to have a yoga instructor, a teacher on a DVD will help you to learn yoga. You will find out what yoga styles work best for you and your body, and what kind of teacher you need. Start out with a beginner style and then work to advanced level. One of the most important tips to follow when you are trying to teach yourself yoga is to have patience. Don’t expect that you will get each pose right at once and enjoy every minute of practicing yoga. The key to everything is definitely patience. And when you do some progress, you will feel like an absolutely new person. When teaching yourself yoga, avoid trying only one style. Whether through DVDs or online videos, make sure you do many types. If you don’t try out different yoga styles, you can’t be sure which style you want to learn. 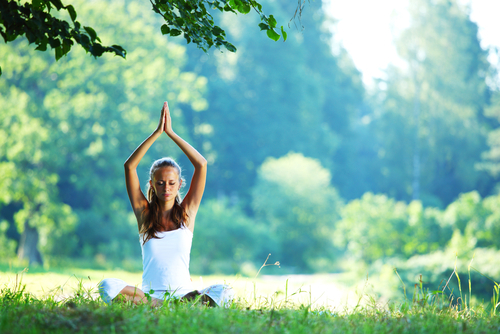 Many people prefer one or several kinds of yoga, but nobody enjoys all yoga styles, because they are very different. Nowadays Google is our biggest tool in learning how to learn anything you want. Search yoga self-teaching tips or just yoga teaching tips and you will find plenty of useful information, like what styles and types of yoga exist and which style is best for you. It will also help to figure out which type of yoga you might prefer. I think it’s one of the easiest and fastest ways to get helpful and needed information. YouTube is my favorite way to learn yoga by yourself. This wonderful online resource will give you access to numerous types and styles of yoga as well as free videos and classes. You can find plenty of useful tips here, and it’s among the most popular ways many people are learning yoga these days. If your family members or friends, or simply people you know do yoga, feel free to ask them for some tips! They might be eager to help you learn yoga because they are passionate about doing yoga and they want others to do it. After all, it won’t hurt to ask others for some effective tricks and tips. Sure, it’s easier to take a yoga class, but why not teach yourself yoga at home? Nowadays you have everything for it, including the Internet and books. Practice yoga every day, or a few times a week, and you’ll see it’s worth it! Do you do yoga daily? Did you teach yourself? Do you have any tips to share?